As a US$ 3 billion company, Welspun Group is one of India’s fastest growing conglomerates, registered at a CAGR of 30% over the last decade. Welspun is a fully integrated player within the Pipes, Plates & Coils and Home Textiles sector, while it also has a presence in the other business verticals such as Steel, Infrastructure and Energy. As a globally recognised leader in the fields of Line Pipes and Home Textiles, Welspun Group has captured a strong foothold in more than 50 Countries, it employs over 24,000 people and has as many as 100,000+ shareholders. 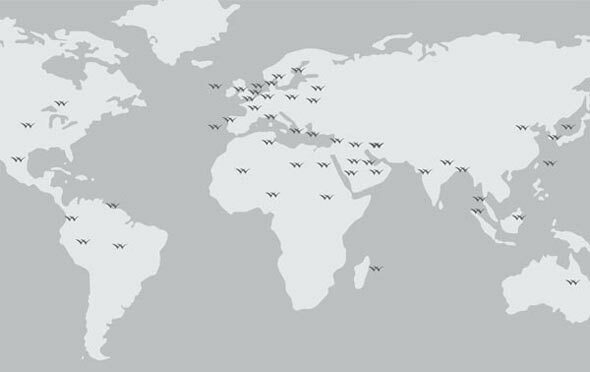 While in the Home Textiles sector, Welspun is the largest integrated towel manufacturer in Asia, a leading supplier to 14 of the top 30 US retailers, and a global supplier offering the entire range of products within the segment. Welspun is proactively involved in a highly developed CSR programme which focus on the three ‘E’s – Education, Empowerment & Health and Environment. With an aim to give back to the society, the company has driven an entire campaign to empower the underprivileged and establishing a sustainable business model that takes care of the environment. The social activities aren’t just limited to high profile projects, in fact every Welspunite is encouraged to contribute to the community in any small way they can. We endeavour to reach a leadership position in each Segment / Sector of our Product / Service. We are committed to satisfy our customers by providing best quality and service, which gives the highest value for money. We believe that employees are our most important asset through which we can reach the top in each category of our Product / Service. Therefore, we will emphasize on their continuous improvement through upgrading relevant knowledge and training.